Technology moves quick. In 1998, Scientific AmeriKen tested the magnetic tolerance of the floppy diskette (The effects of magnetism on disk), and found great susceptibility to the point that just swiping back and forth three times with a magnet completely erased all the data. 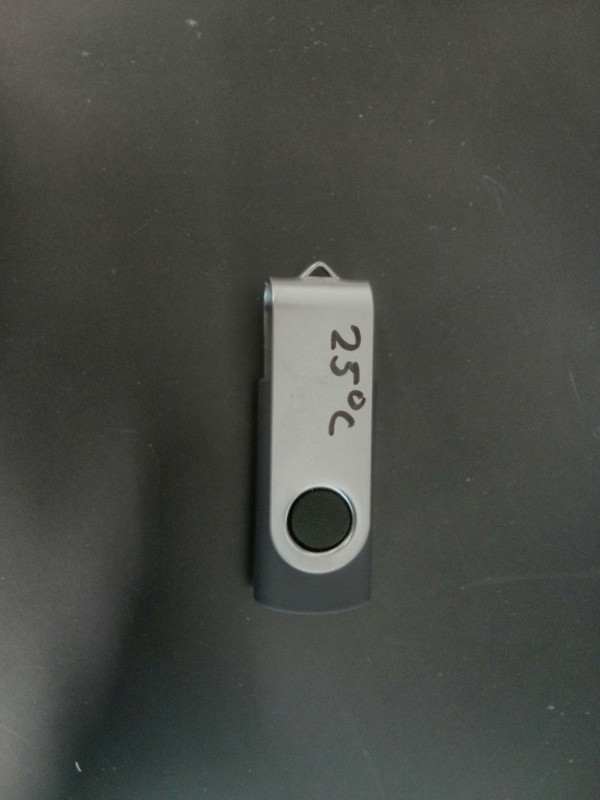 It was acknowledged at the time that diskette technology was fading away, and indeed now Scientific AmeriKen investigates the "diskette" of the twenty-teens, the flash disk. As even this technology is on the cusp of becoming obsolete, it does provide an opportunity to not only acquire flash disk cheaply, but test them across multiple conditions for their ability to protect all-important data. One would hope that problems that plagued technologies of the past would be easily overcome in the modern age. 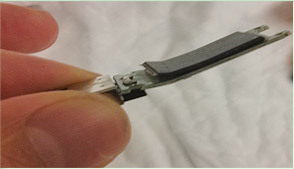 As the floppy diskette had only a soft plastic shell covering a thin magnetic strip, it would seem and indeed was, vulnerable to numerous challenges (heat, bending, magnets, etc). 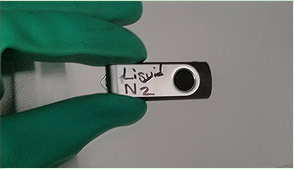 The flash disk operates through a much thicker rubber encasement. The data is stored using transistors that may also provide protections against things like magnets. 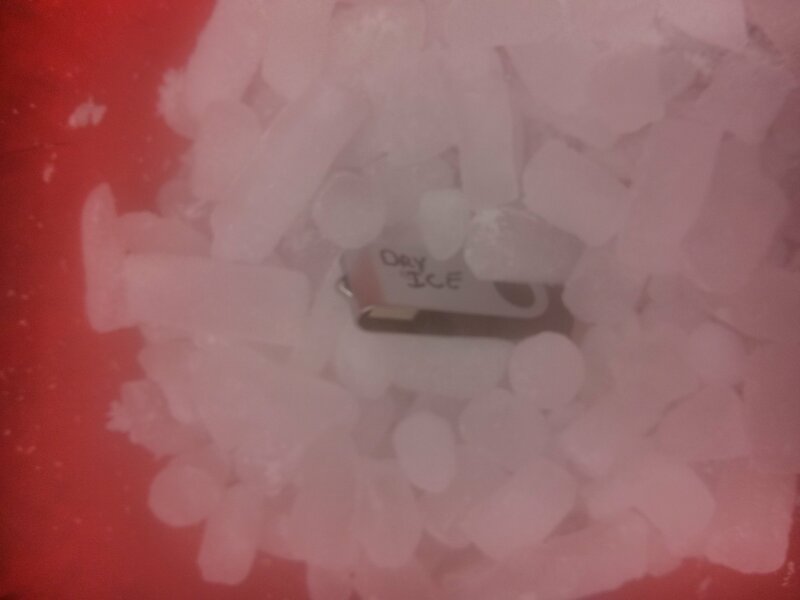 Given these advancements, Scientific AmeriKen hypothesizes flash disk will have much greater durability than floppy diskettes, surviving challenges of cold, hot and magnetism. 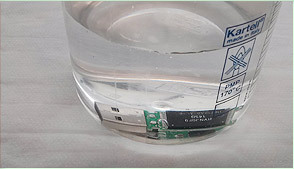 Scientific AmeriKen further hypothesizes that challenges that affect circuitry will kill the flash disk, this includes soaking in water, boiling, burning, and hammering. 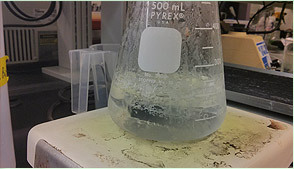 Methods are explained in greater detail in results section, but briefly, flash disks were all loaded with the complete web contents of Scientific AmeriKen (approximately 2 GB), and were tested prior to a specific challenge and after. Materials for this include, 8 gigabyte flash disk acquired from amazon.com, refrigerator, freezer, -80C freezer, dry ice, liquid nitrogen, Bunsen burner with natural gas supply, sonicator water bath, magnet, glass beaker, water, hot plate, hammer, and Macintosh and PC computers. 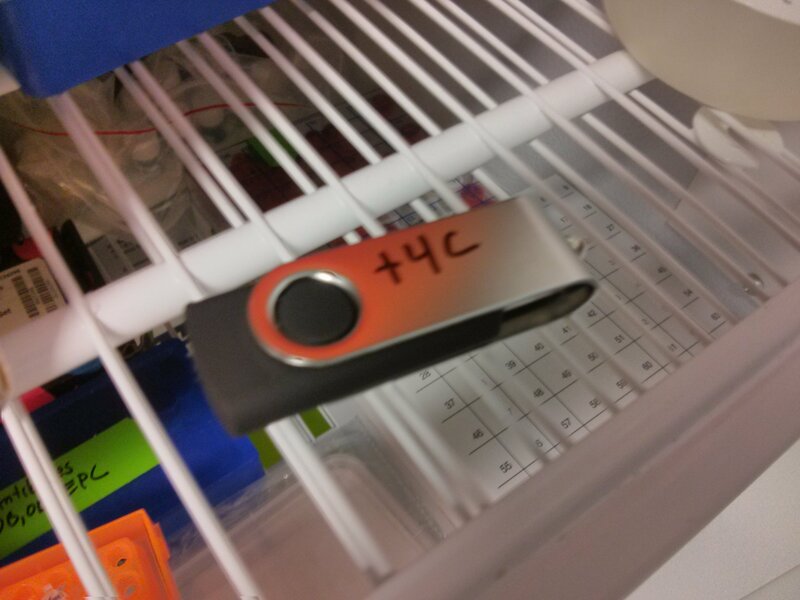 Description: Flash disk left out overnight at room temperature. Result: No harm to disk. 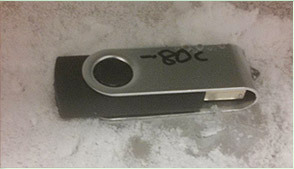 Description: Flash disk was placed into a common refrigerator overnight. 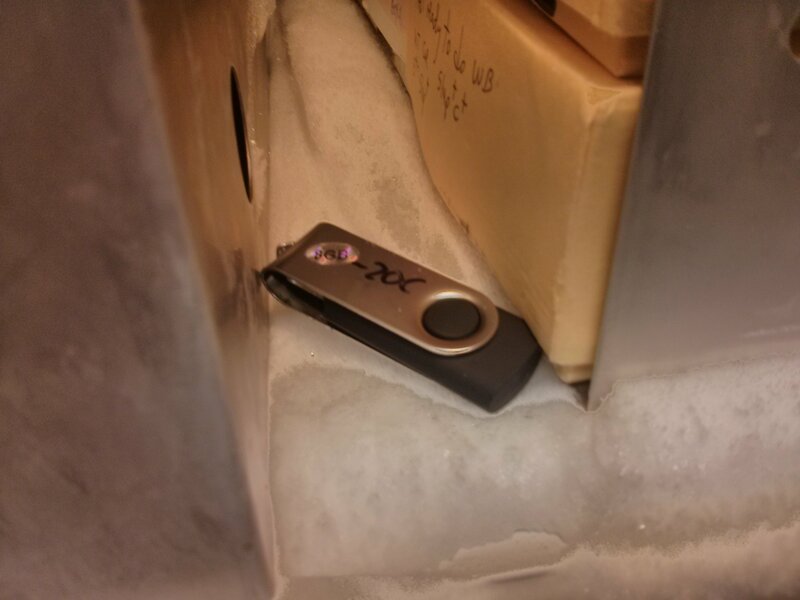 Description: Flash disk was placed into a common freezer overnight. 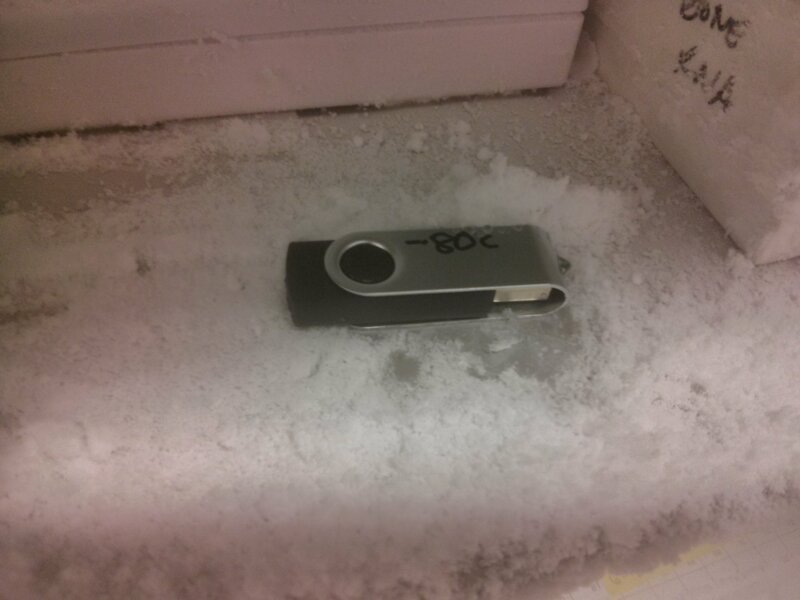 Description: Flash disk placed into a scientific -80C freezer overnight. This is the equivalent of being left outside in Antarctica at nearly the coldest day ever. 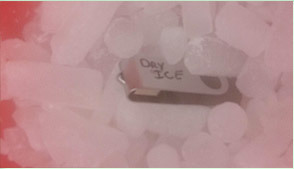 Description: Flash disk was placed in contact with dry ice overnight. 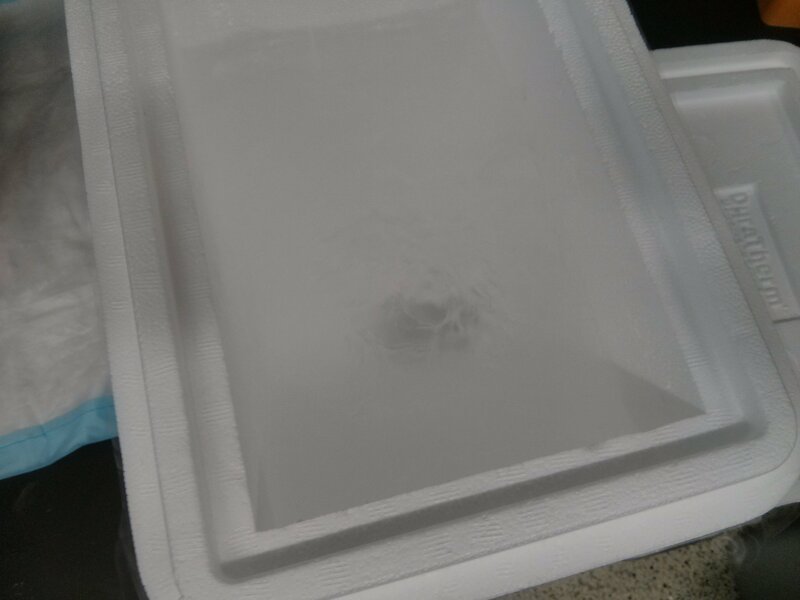 Dry ice has the equivalent temperature of -80C. 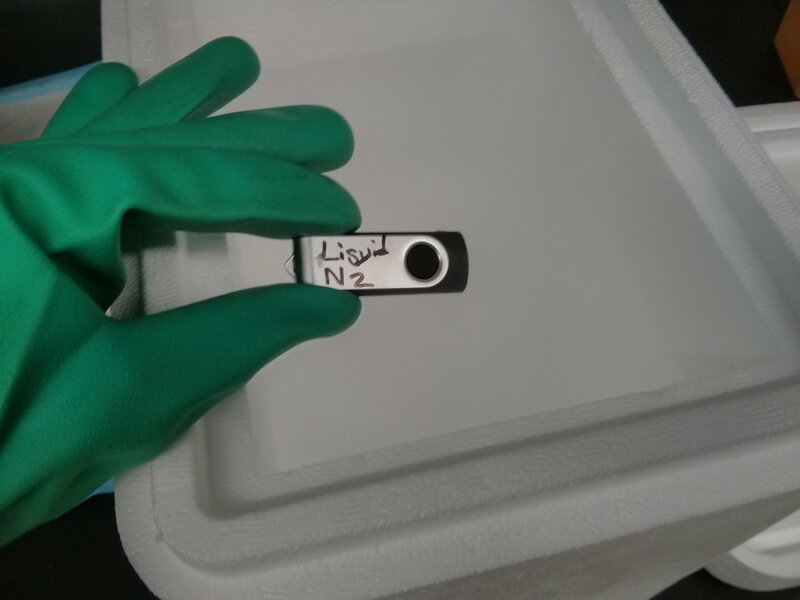 Description: Flash disk was submerged in liquid nitrogen for 37 minutes. 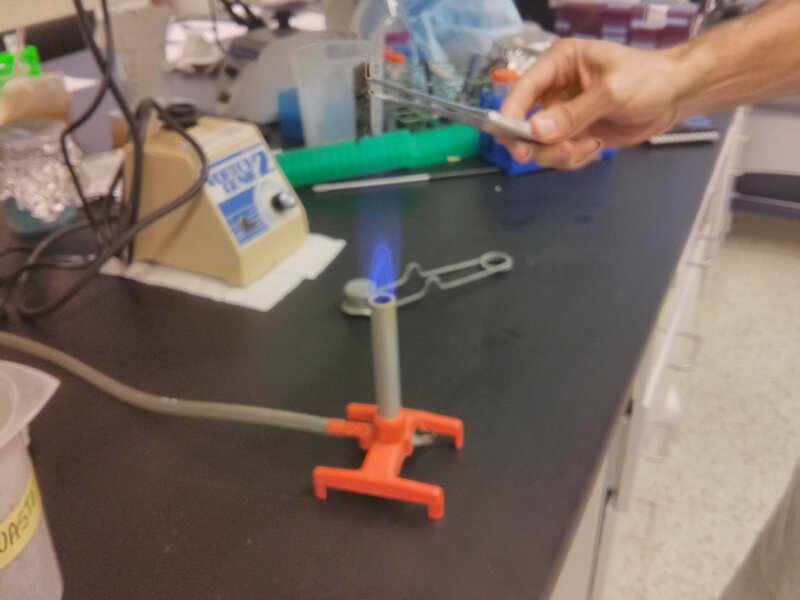 Liquid nitrogen has the equivalent temperature of -196 C, or 77 Kelvin about absolute zero. 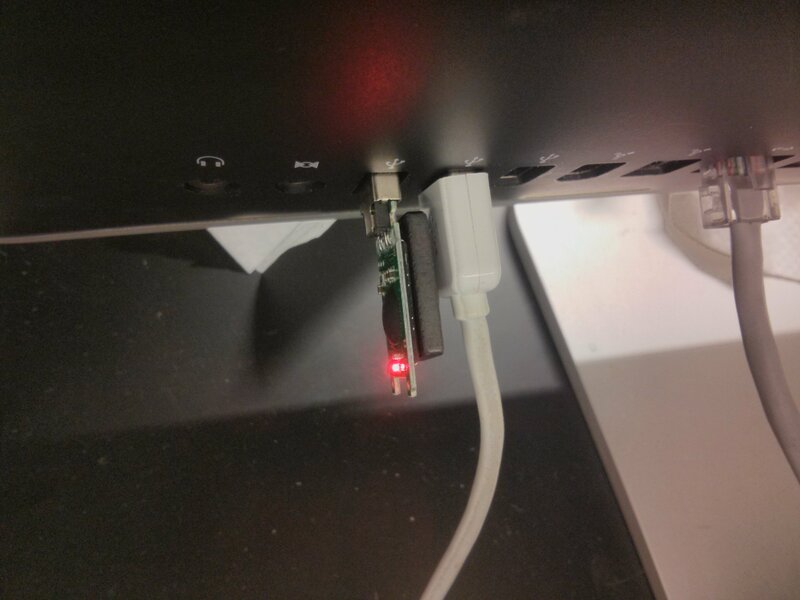 Result: Flash disk was non-functional. Disk was allowed to warm-up to room temperature, at which time the disk was fully functional. 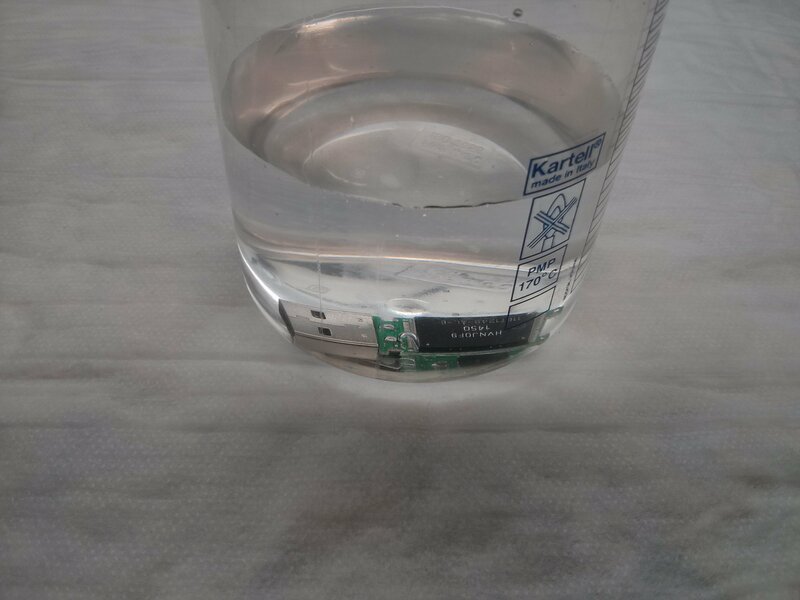 Description: Flash disk was submerged in room temperature water for 1 hour. 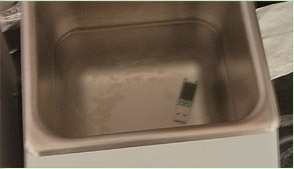 Description: Flash disk was boiled in water for 1 minute. 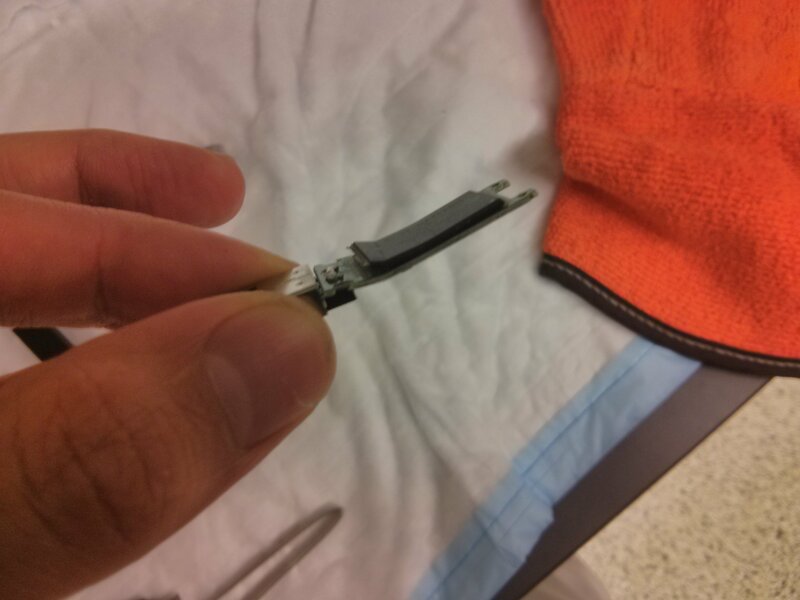 Description: Protective case was removed by hand. 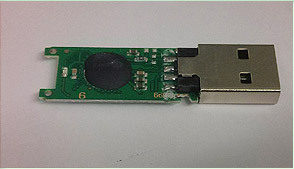 Description: With case removed, flash disk was submerged for 1 hour again. 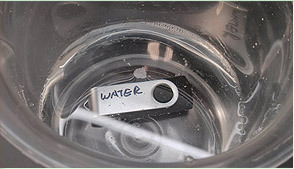 Description: Flash disk submerged into sonicating water bath for 5 minutes. 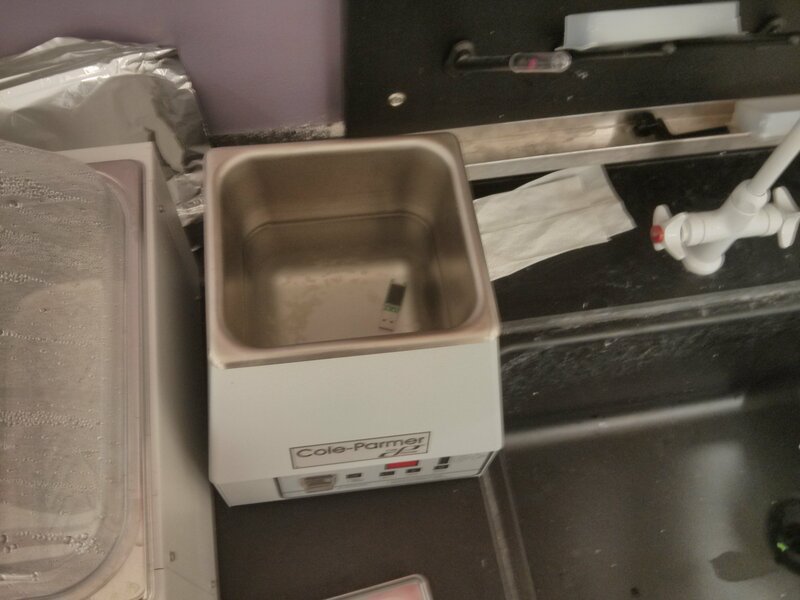 Sonicator applies hypersonic waves that are typically used to shatter DNA strands and cell walls. 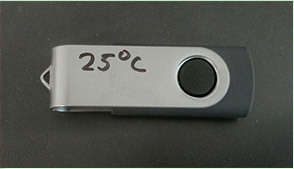 Description: Magnet was applied to flash disk overnight. 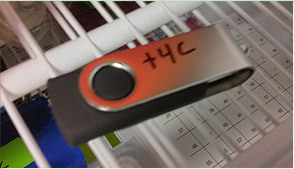 Subsequently, magnet was applied to flash disk as it was being used on computer. Result: No harm to disk. Full functionality even with magnet attached. 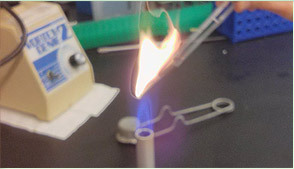 Description: Flash disk was applied directly to the flame of a bunsen burner. 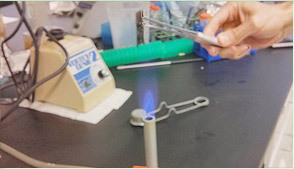 The heat of a bunsen burner is about 1,000-1,200 C, or approximately one-fifth of the temperature at the surface of the sun. 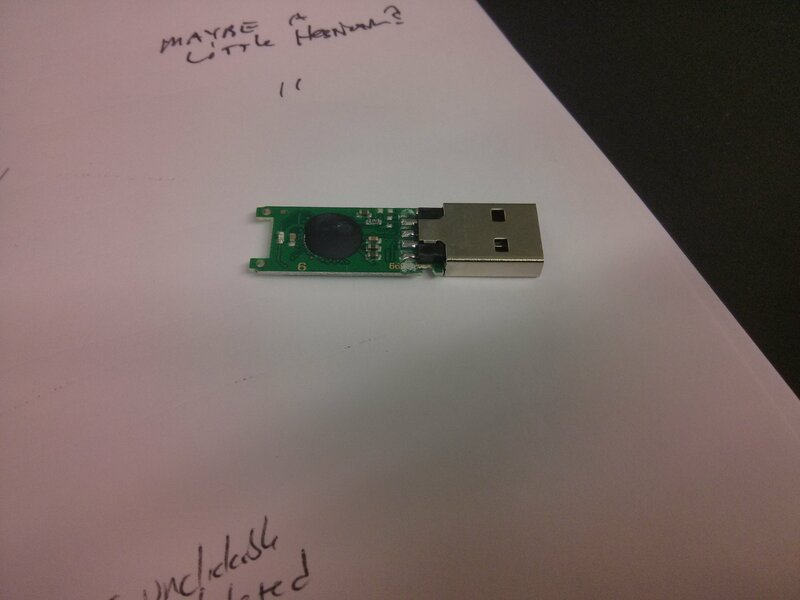 Result: Flash disk was non-functional. It is uncertain if the data itself was harmed or not. 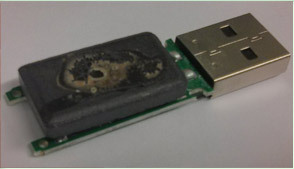 Description: Flash disk was hammered repeatedly until structural damage was clearly visible. Description: Flash disk was taken out and put back in 10 times in succession without clicking on "Eject media" or its mac equivalent. Subsequently, flash disk was pulled out while device was writing to disk. Test was performed on both a PC and a Mac. 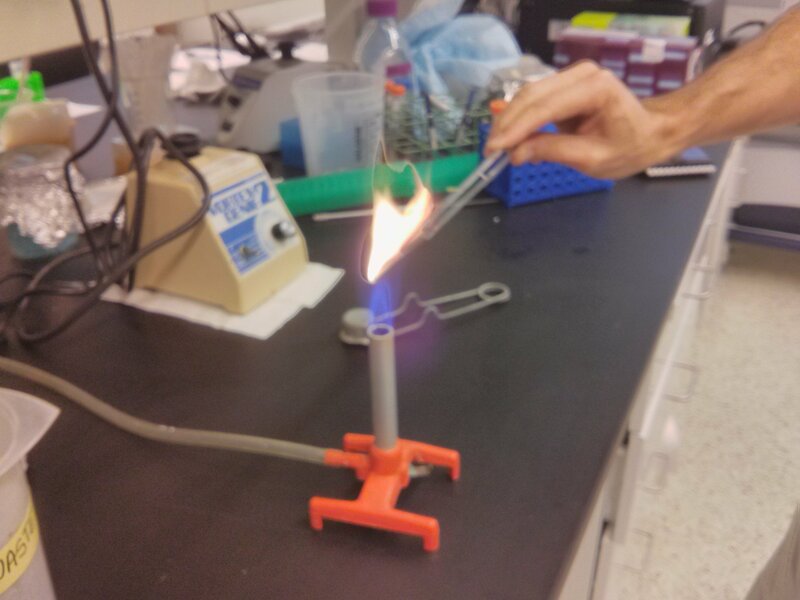 Result: No harm to data and functionality was intact. On the Mac, after removal of the flash disk, specific files being written to became un-clickable but ultimatley could be deleted. On the PC, these files became undeletable, however, they could be deleted with the Mac. Scientific AmeriKen was quite surprised at the durability of these devices, including survival when not only being submerged in water, but boiled at the same time. 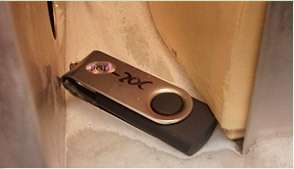 Also surprising was the lack of damage due to disobeying the computer's request to eject the device prior to removal. Although such defiance may spark a future computer uprising, for the time being it will save a minute or two. 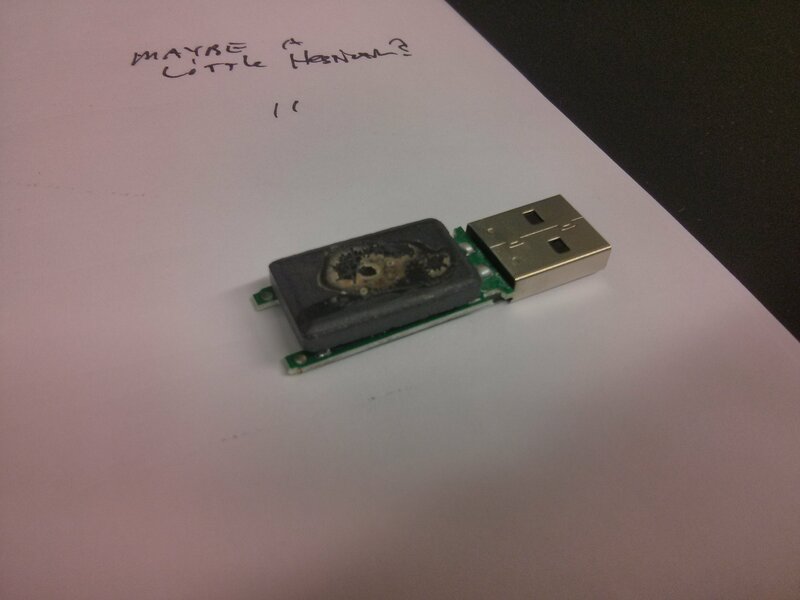 In all, this research does cover many potential hazards to flash disk, but certainly not all. 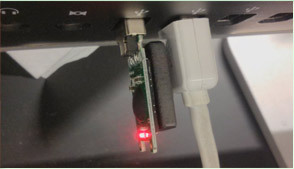 Given the flash disk dependence on electrical gating, test that affect electrical mechanisms (e.g. shocking the device) are lacking. Sadly, the most important condition was also left out, that being when a critical file resides on the disk. Although Scientific AmeriKen dare not attempt such a foolish experiment, nor recommend anyone else to do so, anecdotally speaking, it does seem the importance of the data being stored dramatically increases the susceptibility of these devices. 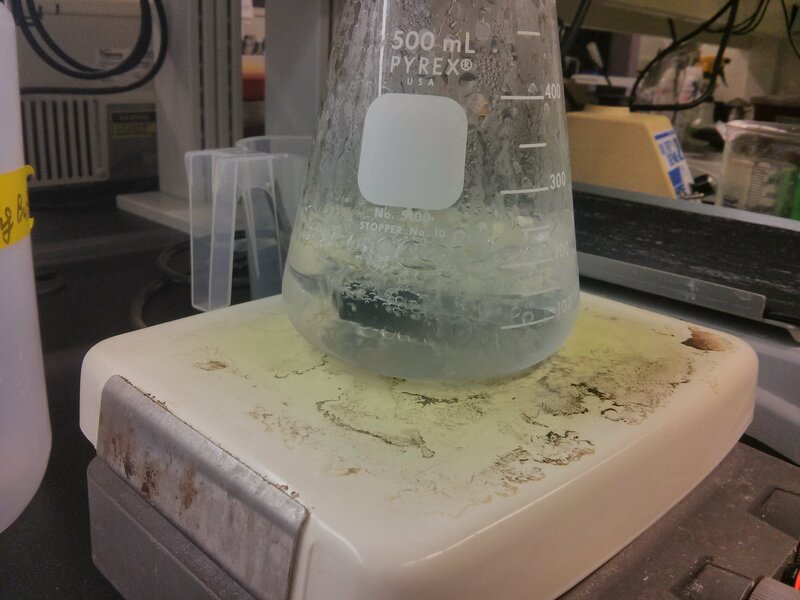 Discuss this experiment with the experts at Science Chat Forum!